Celebrating 50 Years of QUALITY, SERVICE, SUPPORT and INNOVATION! 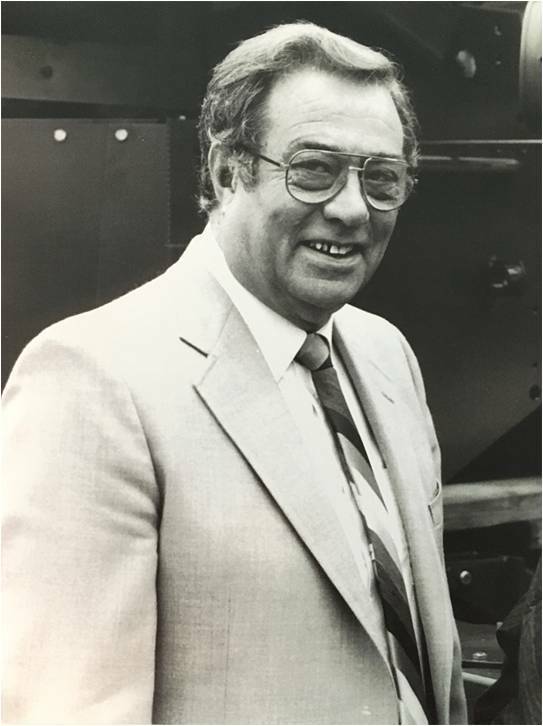 Braber Equipment was founded in 1969 by Bill Braber after he and his young family emigrated from the Netherlands to Abbotsford, British Columbia. Each year Bill would return to the Netherlands to purchase new farm equipment, which would then be sold to agricultural dealers across British Columbia and Washington State. It didn’t take long before a vacant lot next to the family home became a holding area for the equipment Bill brought from Holland, while the space under the family pool table became the "Parts Department." In the years that followed, Braber Equipment grew quickly as Bill focused on QUALITY, SERVICE, SUPPORT and INNOVATION. These became the pillars that the business was built on, and it was Bill’s commitment to them that propelled the company forward. Bill’s commitment to these 4 pillars led this young entrepreneur and his immigrant family to adopt innovative practices and technology very early on to serve their customers. This included the purchase of what was one of the very first answering machines; which was the size of a small bus. Working from the home, Janna – Bill’s wife – would take orders over the phone while at the same time learning the language of her new country. Many customers realized the difficulty she was having understanding them and expected mistakes to be made. However, because of the innovation of using an answering machine to record every phone conversation, there were only satisfied customers. Because of this same focus on QUALITY, SERVICE, SUPPORT and INNOVATION, Braber Equipment has continued to grow throughout the years. Over the past five decades more products, additional divisions, multiple warehouse locations and new practices have been added under the leadership and direction of Nick Braber, the son of Bill Braber. Today Braber Equipment continues to build on the values instilled from the previous generation while providing exceptional agricultural equipment with a complimentary line of industrial products. This extensive product line is supported by a knowledgeable sales staff, a dedicated customer service team and an extensive parts division. As Braber Equipment moves forward, the longstanding family commitment to the four pillars of QUALITY, SERVICE, SUPPORT and INNOVATION remain central as Jackie Braber, (Bill’s youngest daughter) and Nicole Braber, (Nick’s daughter) come alongside Nick in leading the company. Braber Equipment is committed to being a leader in its approach to both the products and the service it provides. This approach supports the ongoing development and growth that Braber Equipment stands for in the name of QUALITY, SERVICE, SUPPORT and INNOVATION, all while meeting today’s needs and anticipating the demands of tomorrow.